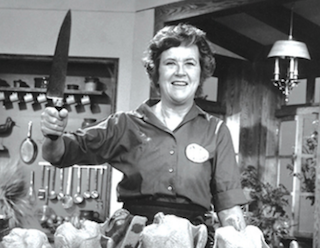 Today is Julia Child’s birthday—she would’ve been 104 and annoyed by your compulsive need to photograph food—and Time Inc. is celebrating. Starting at 11:30 am, Time Inc. will host a four-hour long Facebook Live “Cooking With Julia” marathon, with different brands discussing Child’s influence. If you’re unemployed or a giant fan of Child’s work, below is the schedule.